How sweet can it get? Good afternoon! It being a Monday in January, I know it comes with all kinds of emotions and challenges. A “Good Morning America” host quoted today: Instead of thinking of Monday as an awful day, let’s make Monday the best we can possible make. Well, I thought that was a nice and inspiring quote. 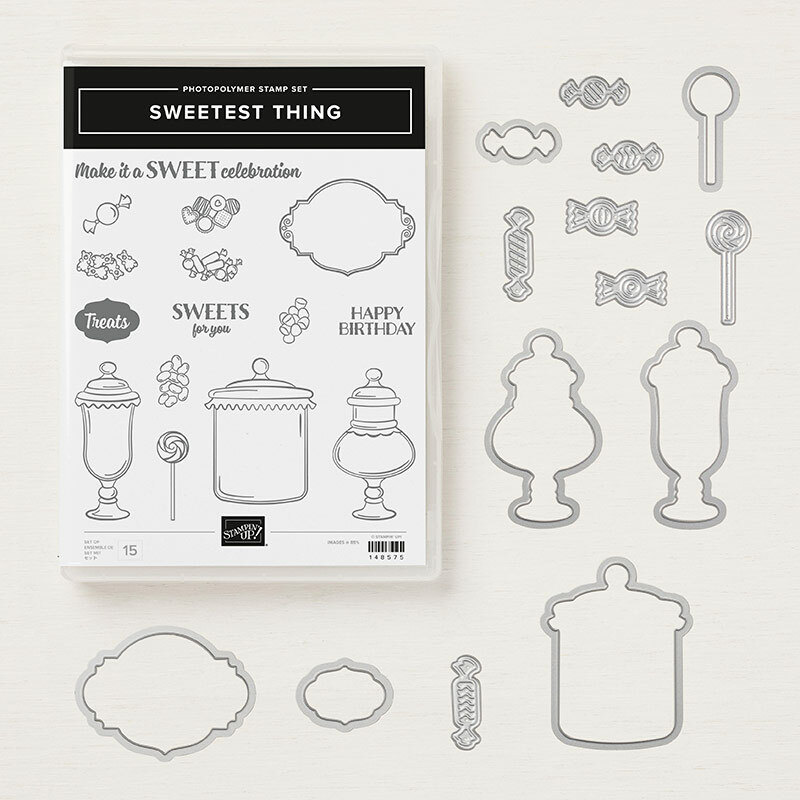 And I thought let’s do this with this card from Stampin Up’s the Sweetest Thing bundle set. Isn’t that just the cutest. Imagine giving this card to someone who has the Monday Blues. It would put a smile in my face. Matter of fact it did when I created it. So, let’s not dwell on Monday and make it a good day. 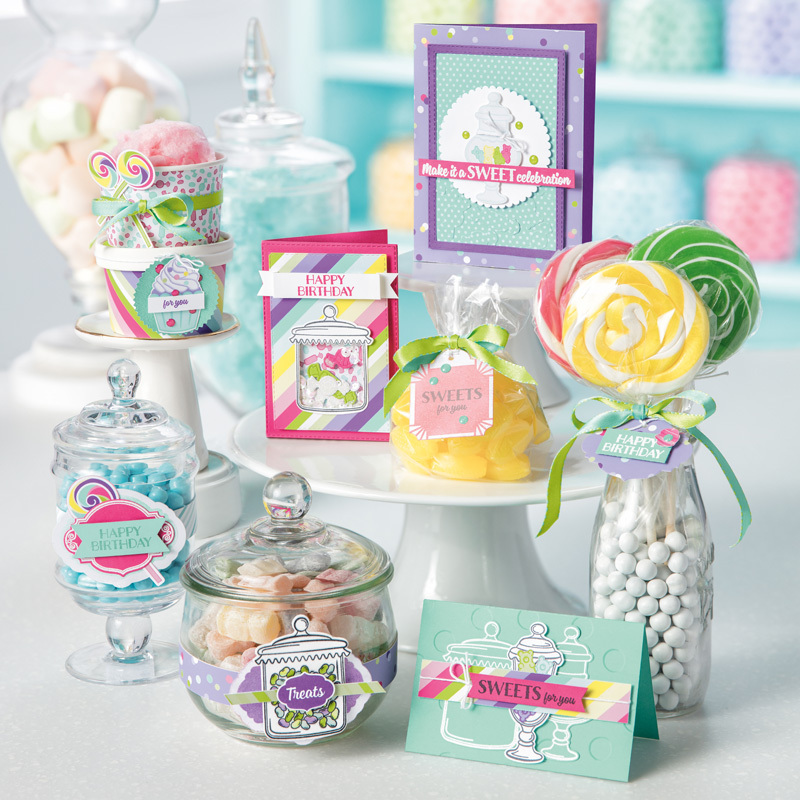 Between the Bundle set, which retails for $45.75 and the Designer Paper for $11.00, an order would qualify for a free gift from the Sale-A-Bration catalog. And not only that a free tutorial with any order on any of my cards and if that is not enough check out my rewards program. Every $50 order (before tax and shipping) receives a free $10 StampinUp gift of your choice from me and one crazystampin award. Ten crazystampin awards equals to a $50 free Stampin Up gift of your choice. Savings all around!! Click the link below to shop my online store for all your stampin needs! Happy Monday and happy stampin’.